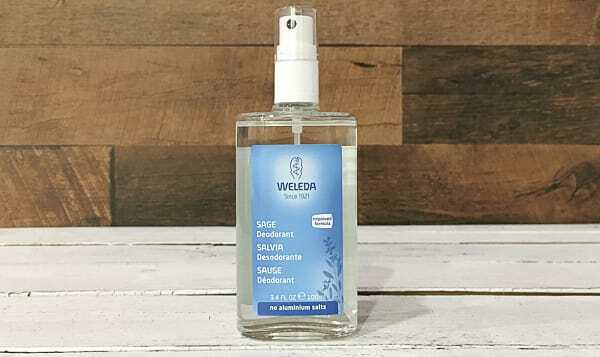 Where ordinary deodorants clog your pores and work against your body’s own detoxifying process, Weleda’s Sage Deodorant works in harmony with your body letting your body breathe. In recyclable glass bottles, our deodorants all use non-aerosol pump sprays, with no aluminum salts or other antiperspirant minerals, we promise you freshness. This product traveled 4810 km to reach our warehouse. Weleda goes back to 1921 and something called anthroposophy. Philosopher Dr. Rudolf Steiner, encourages the individual to see his or her body, mind and spirit as intrinsically linked to our world; all part of one holistic system. Steiner, along with Dr. Ita Wegman, got together with a team of dedicated scientists and doctors to determine just how they might use this philosophy to take care of their patients’ needs. They understood that a human body has a remarkable ability to heal itself, but sometimes it needs a little help. So they developed a personal approach to health care using natural ingredients that can holistically work with and support our own body’s healing tendencies. They started by creating one of the world’s first Biodynamic® gardens to grow what they needed. Patients were healed, wellness and balance were restored to them, and never once was a synthetic chemical or lab-made preservative used in the process. The company’s new name couldn’t have been more appropriate: Weleda, after the Celtic goddess of wisdom and healing. Today they have offices and partnerships in more than 50 countries and yet despite their success, not a whole lot has changed. They still cultivate their own Biodynamic® gardens. Believing natural ingredients truly provide what a body needs to be vibrant, beautiful and well.